Listen to your Ringtone instead Ringbacks. Listen to Ringtone You Want! New feature has been added: vibrate on call accept. Now, when outgoing call will be accepted, phone will vibrate for a short time. No more strange music in ringback or ads or beeps. There is a quick guide with images to explain in details how this app actually works. Starting from Android 4.1 ("Jelly Bean") Google have taken back permission to read logs (read_logs). This permission is really necessary. It's OK, if you have ROOT, but what if you don't have one OR don't want to root your phone (maybe, for Over The Air updates)? Return to Settings. Now you will see Developer Options. We need Android Studio (Software Development Kit) to get adb.exe working on our PC. 3) Launch the .exe file you just downloaded. 4) Follow the setup wizard to install Android Studio and any necessary SDK tools. 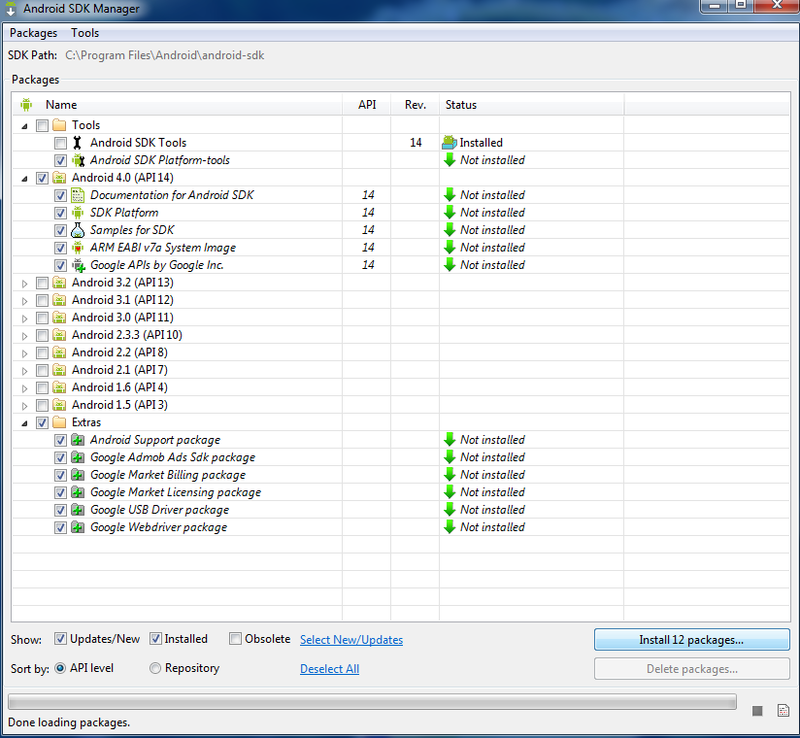 I suggest you to install Android Studio and it's SDK in same folder (Android). 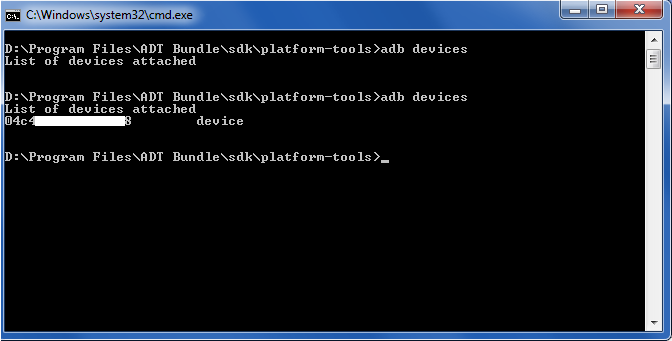 5) If you need it - Run SDK Manager. It's on upper tools panel, find green icon with arrow and hint "Android SDK Manager". Uncheck Android versions (we don't need them). In Extras make sure "Google USB driver" is checked. 7) Press "Install Packages". Accept license. Wait… Close SDK Manager. 1) Plug your phone via USB cable and wait for it to install drivers. At this point, your phone have to get a debug prompt from your PC. Allow debug. (optional) 1.1) If there is NO prompt: either you have already allowed debugging OR there is an error and you still need those drivers - go to #4 below. select "Open Command Window Here"
There gonna be few commands you'll have to run via Command Window. The easiest way is to copy and paste those commands. Paste using mouse. You should see a phone serial number. This means you are all set! If you do NOT see a serial number, then check #4 below. adb shell "pm grant com.inoysoft.callbeepchangerbeta android.permission.READ_LOGS"
adb shell "pm grant com.inoysoft.callbeepchangerbetafree android.permission.READ_LOGS"
If you use Google Translate, move mouse over a command. Copy original English text. (optional) 4) If you do NOT see a serial number - you need to install USB drivers for your phone. Just Google something like "Samsung USB drivers". Download and install them. After drivers install adb devices will return serial number and you can go to final command. 5) Turn off your phone. Unplug USB. Turn phone on. You've granted READ_LOGS permission and your phone still NOT rooted ! If you need any help - feel free to comment! Usability improvement for Android 4.1 (and upper) users dealing with ROOT issue. Listen to YOUR favorite ringtone! Dog Whistle HD will remember for you your command's frequency, duration, repeat times and name of each command! Customizable backgrounds and text colors! Feature: One command to Full Screen! No need to remember all that numbers, to make dog understand you. Dog Whistle HD will do it for you for free! Version 1.0 is the ideal to which we aspire and I hope we'll reach it, some day. All updates are valuable and critical. It's been a while after last post, but updates were coming out. Modes are bringing Ringtone INSTEAD Ringback to a new level. As all people different - it will be natural to hear different music for each. Now you can setup your music for each contact or group. Basic “One For All” mode is still there. And although there is mode for random audio file from folder. Also, now there is a Video!